“Long-awaited” is a massive understatement. Whovians are mostly excited for the release of music from the exceptional episode “Heaven Sent” (we gave it a perfect 10.0 score)—the episode, which had star Peter Capaldi in an exceptional solo performance, as well as a score with a classical music vibe. The fact that this episode will have its own disc of music will no doubt make up for lost time for many fans. Still, Silva Screen adds at literally the very bottom of their announcement, “the actual release date will be scheduled soon.” We hope we don’t have to jump into a big blue box and travel to the future just to listen to this soundtrack. 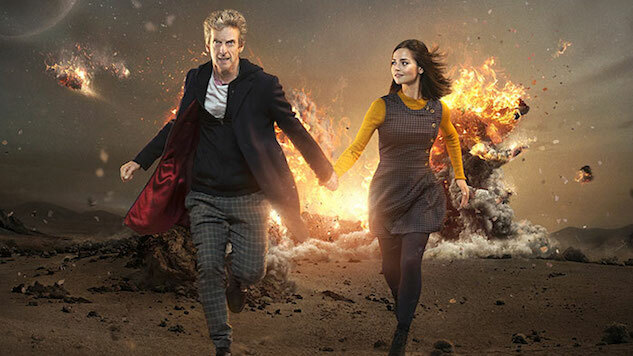 Capaldi will make his exit from the show in the 2017 Christmas special “Twice Upon a Time,” which recently got a new trailer. Capaldi will then make way for Jodie Whittaker and her colorful costume in 2018.